Boy oh boy, do I have some news to share. In the midst of hunting for a venue for our next pop-up shop, Rae and I were approached with an amazing opportunity for Mighty Swell. I’m so excited to announce publicly that we’re now the proud lessees of our very own storefront space! And not just any space, but a venue that I’ve known and loved for years…my dear friend Jessica’s gallery, Umber Studios (also the site of Mighty Swell’s fall pop-up shop) in South Minneapolis. I can’t tell you how many times I’ve had to pinch myself these past couple months…it’s magical the way things can sometimes work out. We most certainly could not have taken this step without the tremendous support we’ve recieved and we’re beyond excited about the possibilities having a venue all our own presents. 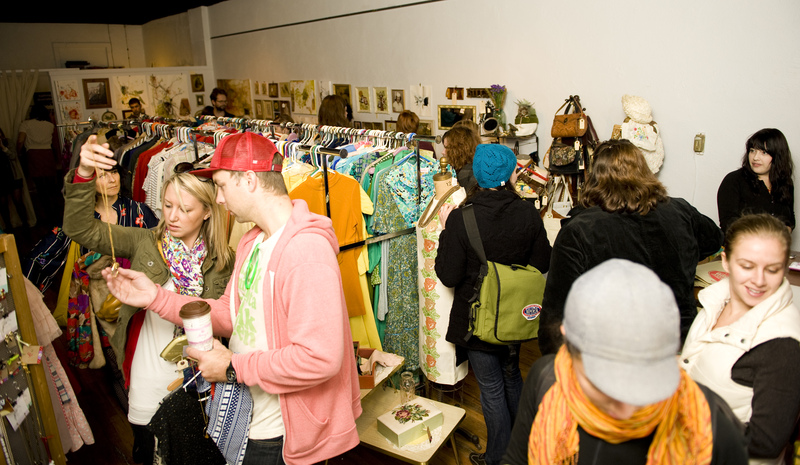 We look forward to bringing you more frequent shopping events (no more waiting months and months) and introduce you to our favorite top-notch, quality vintage vendors (and all-around delightful ladies). We have so many other fun ideas and plans up our sleeves, but sharing them will have to wait…for now! If you’re in the area, I hope you can drop by and check out our new home during our upcoming Spring Has Sprung! sale, happening from 10 a.m. to 7 p.m. on Saturday, April 30 and Sunday, May 1st. Our lovely vintage vendors will be on hand to hook you up with affordable, quality vintage for your closet and home, in addition to fresh coffee and baked goodies from A Baker’s Wife and tunes courtesy of Girl Germs Radio. And probably a bottle or 12 of celebratory champagne. This entry was posted in Uncategorized and tagged mighty swell, Umber Studios by highplainsthrifter. Bookmark the permalink. Yay, so exciting! I can’t wait to check out the space! Let me know if you need any help at all setting up! Congratulations!!! Congrats again! I’m so excited for your new adventure! YeSSSSSSSSSSSSSSSSSSSSSS! I’m so excited I could burst! Congrats Megs! congrats!!! so so happy for you, darlin’!! yay for you and mighty swell!!!!! It can’t get any better than vintage and a baker’s wife! You already know this, but I AM SO EXCITED!! Congratulations. I’m looking forward to buying some new to me vintage.